As a part of the commitment to advancing education in Indonesia as well as a form of support to the implementation of National Curriculum of 2013, SEAMEO QITEP in Language (Centre) conducted a Training on Thematic Learning Model for Primary School Teachers (Batch III) of Desa Cihideung Ilir, Bogor West Java. The main objectives of the training were to enhance teachers’ knowledge on the concept of the National Curriculum of 2013 and to improve the teachers’ competence in designing instruments for assessing attitude, knowledge and skills. The training, which was part of the STAR Village Project at Desa Cihideung Ilir, was held from 13-16 August 2018 at SEAMEO BIOTROP, Bogor, West Java. 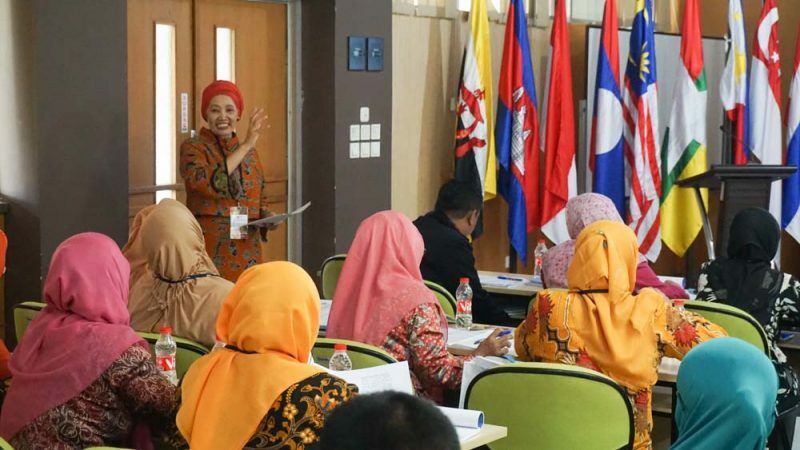 There were 27 participants attended the training comprising of 25 primary schools teachers and two schools supervisors from the Bogor District. It was a dynamic and smooth training owing to the fact that it was guided by competent resource persons such as Dr Sri Sumarni from Universitas Negeri Jakarta, Dr Bambang Indriyanto and Ms Hasanatul Hamidah, MA, from the Centre. In line with the objectives of the training, resource persons deliberated the Assessment in the National Curriculum of 2013, Techniques for Behavioral, Knowledge and Skills Assessment as well as Processing Assessment. In the initial session, Dr Bambang Indriyanto, the Centre Director, presented the Concept of Higher Order Thinking Skills (HOTS) and its correlation to the National Curriculum of 2013. As stated in his presentation, that teaching HOTS needs to be emphasized in the teaching and learning process as it is one of the skills of the 21st Century. During the training, the participants were actively involved. They did not only ask questions to the resource person about assessment, but they also shared experiences among fellow participants. One of the participants, Mr. M. Zaelani Abdul Qodir from SDN 02 Cihideung Udik, was grateful for being invited as one of training participants. 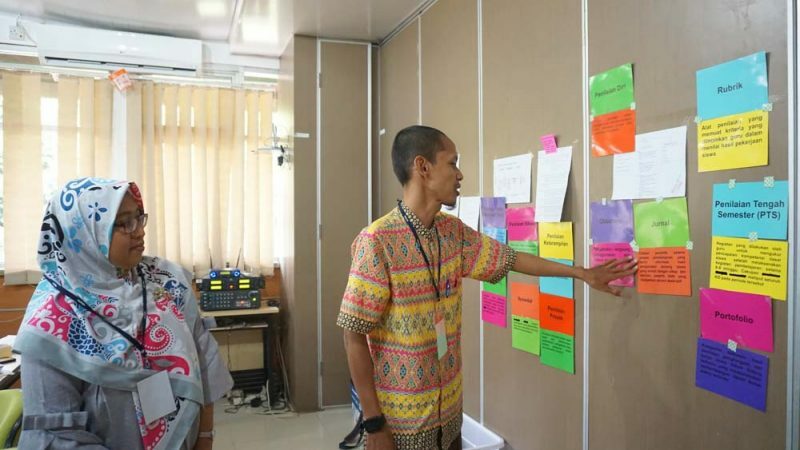 The training was also becoming an interesting forum for him in addressing issues of the National Curriculum implementation – one of the important areas for teachers in Indonesia.